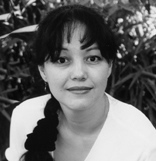 Linda Watanabe McFerrin is one of the unsung heroes of the Bay Area literary scene. She’s an upbeat, relentless supporter of local writers, and as founder of Left Coast Writers, a local literary salon, she has helped countless authors hone their craft and get their start (including assisting me with my novels). Now McFerrin has a new novel of her own out, and just in time for Halloween it’s a rather ghoulish tale. 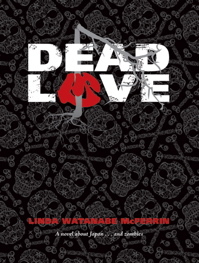 “Dead Love” tells a story of zombies, which is rather trendy in pop culture these days, with big recent bestsellers such as “Pride and Prejudice and Zombies” and hit movies like “Zombieland,” “28 Days Later,” and just about anything starring Milla Jovovich. Americans, it seems, can’t get enough of zombies. But writing a novel and getting it published takes years. So this wasn’t a case of jumping on someone else’s trend. It’s more like serendipity – “Dead Love” has the happy coincidence of arriving while zombiemania rules. I asked McFerrin about the zombie craze and what drives her own fascination with the subject. The Bay Citizen (TBC): I’ve known you for years, Linda, and you are just about the sweetest person I know in the Bay Area literary scene. So that begs the question: what’s a nice girl like you writing a book like this. I mean… zombies? McFerrin: I’m really fond of supernatural creatures of every ilk. I’m part Japanese and stories of ghosts and demons are very much a part of the culture, but I also found plenty of spooky material in the western literature my mother shared with me. I was hooked on Poe by the time I was seven. I guess I found that dark, brooding vibe attractive. This was written by admin. Posted on Friday, October 29, 2010, at 4:26 pm. Filed under Uncategorized. Bookmark the permalink. Follow comments here with the RSS feed. Both comments and trackbacks are currently closed.